The army on Friday appointed Lt General Nadeem Raza as Chief of General Staff as as part of a major reshuffle in army hierarchy. The transfers and postings saw Gen Raza replace Lt.General Bilal Akbar who has been appointed as Commander 10 Corps (Rawalpindi). 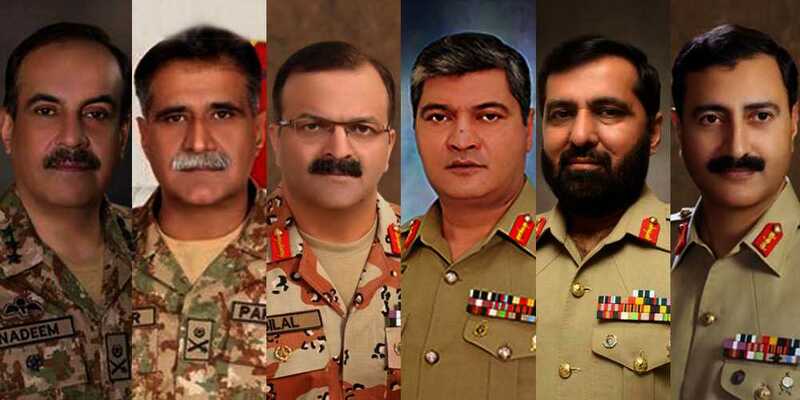 Lt Gen Shahid Baig Mirza has been appointed IGC&IT (Inspector General Communication and IT), Lt. Gen Humayun Aziz Commander 5 Corps (Karachi), Lt Gen Muhammad Naeem Ashraf Commander 2 Corps (Multan) and Lt. Gen Abdullah Dogar as Chiarman HIT (Heavy Industries Taxila).